Leissner ACS is an Auto Configuration Server independent of CPE vendor to be used by broadband access operators that want to easily from time to time change vendor of CPE, and manage both old and new hardware in the same ACS. 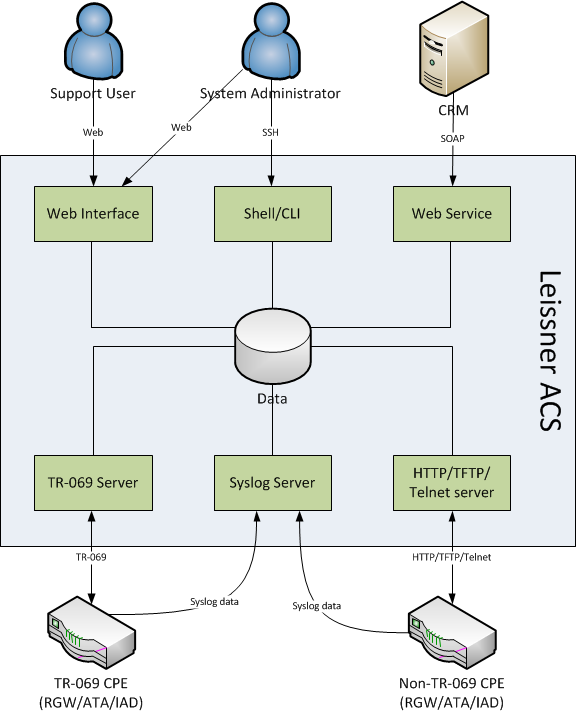 The ACS supports TR-069, TFTP, HTTP and Telnet communication with the CPE and also contains a Syslog server to collect logs from the CPE. System administration is done via a web interface or a shell/CLI and there is also a web service interface available for integration from other systems.